In commemoration of the late Kapitan Eugenio Lopez, Jr., a thousand souls had feast with the hot porridge personally served by the Lopez Family at Brgy. 841, Pandacan, Manila. 1, 000 young and adults alike came from various barangays along the esteros in Pandacan have celebrated father’s day with the Lopez’s. Kids have also showcased their talents through singing and dancing. The Lopez’s applaud to the extraordinary performances of the children, voices that rise above poverty. The crowd were in awe as ABS-CBN Publishing Inc. CEO and President Ernie Lopez hit the dance floor with the infamous “running man “ dance craze. A noble legacy of the Lopez tradition in reaching out to the less privilege communities continues from generation to generation. 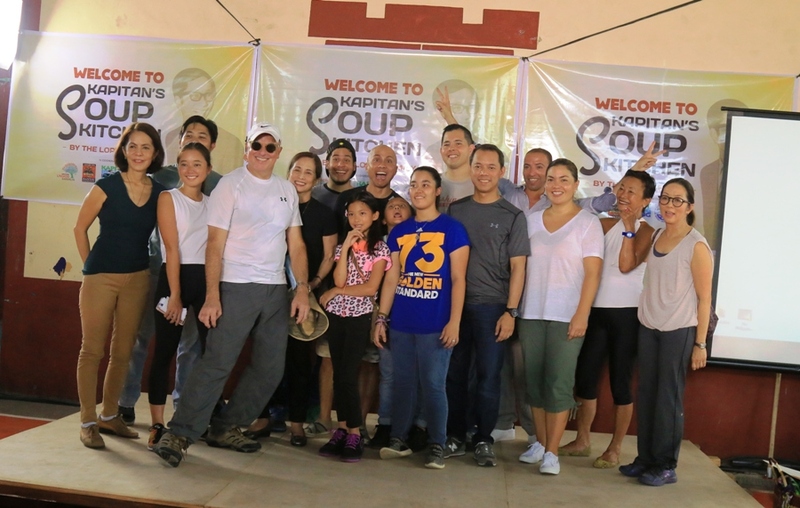 In collaboration with Bantay Kalikasan’s Kapit Bisig Para sa Ilog Pasig and Pasig River Rehabilitation Commission (PRRC), the Lopez’s had fun mingling while serving the locale , living on its mission in the service of the Filipino people.